PERMATA BUNDA Inception in 1998 named Yayasan Bina Medika, two years later changed its name to PERMATA BUNDA under the auspices of PT. Surya Sehat Gemilang. 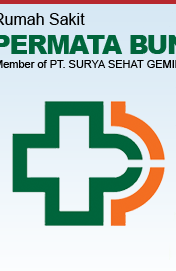 PERMATA BUNDA engaged in the General Hospital, has 7 branches Clinic & Maternity Home scattered in the area of Bekasi. Currently has collaborated with almost 90% of Health Insurance and Large Companies national scale. Mision : Providing health care facilities that the public interest supported by optimal service and modern technology, effective, and efficient. Culture based work ethic Superior Human Resources,Dynamic and Harmony. Uphold the values of Ethics and Social Care for the environment surrounding communities. From which you get adequate information about the Rumah Sakit Permata Bunda Group?